Don't let all this fuel go up in smoke wasted from idling. Find out how Direct Drive Energy's Kinetic Energy Harvesting System DDE-X Rolling-Thunder™ Fuel-Less™ "Auxiliary Power Unit" APU. Direct Drive Energy, can help save you money form day one of install, and also help save on the enviroment. Click on the imgae to see how we can help you today. Direct Drive Energy (DDE) is a Product Line which part (GCTT) Global Clean Transportation Technologies, Inc. which is an Iowa based company that was formed to take the founder James Dierickx's technologies related to kinetic energy harvesting, power conditioning, energy storage, mobile power generation to the marketplace as quickly as possible. And apply it first to industries that have a high fuel use and pain that is brought on from being dependent on foreign oil and the price of fuel with little if any technologies to help stop the fuel loss and waste. The main driving factor to Jim's want to help the USA with fuel savings is, because he is a US Army veteran who seen how the USA's oil dependency is really setting the Mid-East. When he was younger oil almost killed him, now he wants to kill big-oil dependency once and for all, through starting with his current inventions now. About Founder link. GCTT & Jim Dierickx have had many special people get involved to help act as advisors to us so we can better understand the trucking transportation logistics. One of them is Robert Helgens, Advising Partner of Hybrid Transit - As a founding partner, Mr. Helgens has passionately levered his industry experience since 1982 in guiding the company's strategic vision. Providing leadership to his executive team and a nurturing hand for all Hybrid employees has facilitated the company's incredible maturation. Prior to Hybrid, Mr. Helgens served in a variety of sales and account management positions, as well as in senior leadership roles for regional- and national-based transportation companies, including CRST International, RFK Transportation, Cedar Rapids Transportation, and Providence Transportation Group. See how DDE will be as we grow become sustainable in our process, products, and community socially, at this link Sustainability. That is why DDE has chosen to enter the CLASS 8 Heavy Truck market now, to save both fleet and long haul driver fuel and help cut costs in their operations, with our patent pending anti-idling technologies. The product is the DDE-X Rolling-Thunder™ Fuel-Less™ "Auxiliary Power Units" (APU's). The Rolling-Thunder™ is now commercialized and will be available for immediate sale and limited distribution beginning Aprill22, 2017 to coincide with Earth Day 2017. APU link. 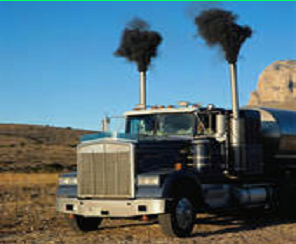 Here a reason why DDE's Green Energy Inventions Could Save $20 Billion Dollars a Year Of Diesel Fuel; from going up in smoke literally, that is the estimated costs of idling all the big rig trucks every year in the USA. This is true for Direct Drive Energy product line, a Lowden, IA based manufacturer of DDE-X Rolling-Thunder™ Fuel-Less "Auxiliary Power Units" (APU's). All of this from Kinetic Energy Harvesting- our proprietary multiple patent pending kinetic energy harvesting , storage, and power condition technologies were made for the trucking industry. Due to high fuel prices, lower than expected margins from the high fuel prices, noise and air pollution regulatory issues; DDE has decided to launch our DDE-X Rolling-Thunder™ Fuel-Less™ Truck APU System. We are launching our DDE-X rolling-Thunder™, now on April 22, 2018 to honor Earth Day 2018 as a sign of how much fuel our DDE-X product will save you. To help DDE get the word out about or DDE-X we are also going to give a truly amazing offer on the first production units. The offer is to early adapter & innovators who want to * save fuel costs immediately upon installing our DDE-X Rolling-Thunder™ , we will offer a * ( $1,000.00 discount off of our established retail price). *See order page for more detail about this limited time savings offer. * As of June 25, 2018 The average price of Number 2 Diesel in Lowden, IA was $3.27 / gallon. So idling 10 hours a night at 10 gallons of diesel a night so saves $32.70 a day at a minimum. One of the main reasons our DDE-X product is needed in the Class 8 Truck Market is because of US DOT safety laws over the road solo truck drivers must rest for a 10 hour period every day they drive. They must rest the 10 hours before they can reset their hours and continue trucking. So without the APU the truck will burn through around $22,000.00/year in diesel fuel if it contuies to climb to $4.00/gal fuel prices to keep a driver comfortable. Let alone the Carbon savings of around 22 Lbs per gallon for every gallon of diesel fuel not burnt in the engine. Amazingly this will be over 50 Million tons of CO2 not polluting the Earth's air every year when the DDE-X Rolling-Thunder™ gains traction. . Get your DDE-X now before there is a chance Diesel fuel were to go to ** $6.00-$7.00/gal, then our much needed DDE-X Rolling-Thunder™ would save between $33,000.00-$38,500.00 per Class 8 Truck our Rolling-Thunder™ was installed on. ** All it would take is a geo-politcal crisis in Arab vs Israel that Trump might start and we could see fuel prices like they were in the last oil embargo, in the early seventies that was again USA siding with Isreal and the Arba nations refsuing to sell the USA oil for a seaon. Our DDE-x APU will be just the tool that all trucking compaines should use to hedge their fuel bets on - stabilize the operational cost of fuel in an energy crisis that could happen suddenly. Currently the market offers smaller diesel fuel powered APU's to provide the power to run the on-board air conditioning and heat for the cab along with hotel needs in the tuck like a refrigerator, TV and DVD players and lighting inside the cab as well. While diesel powered APU's are better than the no-APU alternative they till consume around $4,500.00 year in diesel fuel at $4.00/gal fuel prices. Another APU system is an all-electric system that a few trucking firms use, however they are limited in scale as well and you have to add extra alternators to the truck motor and many truckers have said that the all-electric APU's have drained the truck batteries so much that upon waking up to go down the road they had to call a tow truck to get a jump to start their truck costing several hundred dollars and valuable operating time to get the load on time to the customer. That is where Direct Drive Energy's DDE-X Rolling-Thunder Fuel-Less APU becomes a game changing technology in the world of Class 8 Truck APU systems. Our patent pending technologies incorporate the best of both APU systems, and our product works like this; a follower wheel drops down form the truck frame and like landing gear it spins and collects some of the kinetic energy from the motion of the truck tires. And this rotational energy is then converted into DC power that is stored onboard in the DDE-X battery bank. So that after a long day of trucking the driver can pull into the truck-stop or rest area and turn their truck motor off , and turn our DDE-X on, and the Rolling-Thunder unit will then power all the onboard hotel needs, and heat or cool the truck cab with our proprietary heating and cooling system that is retrofitted onto the truck when n we install the Rolling-Thunder™ Power Pack. So it uses electricity like the all-electric APU's but is not tied in electrically to the truck batteries and in fact our DDE-X unit can export excess power to the truck batteries monetarily to assist in starting a truck on a cold day possibly saving the several hundred dollar jump-start from a tow truck if the batteries were too weak to start the truck. (GCTT) Global Clean Transporation Technolgies, Inc. Direct Drive Energy & DDE-x Product Line All Rights Reserved. 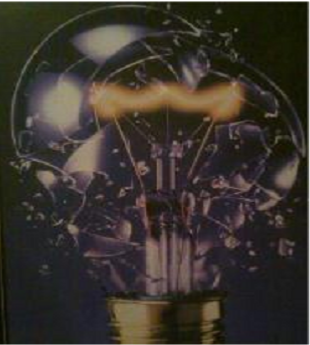 We Are Shattering Old Myths And Creating New Ideas About Kinetic Energy Harvesting And Mobile Power Applications.